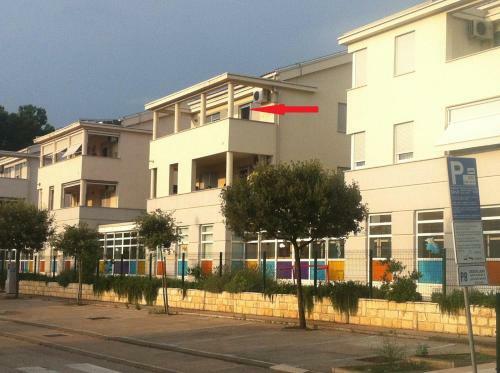 Please inform Apartments Kvarner in advance of your expected arrival time. You can use the Special Requests box when booking, or contact the property directly with the contact details provided in your confirmation. Apartments Kvarner 2 ~0.1 km, Malinska price per day from € 46 Apartments Kvarner 2 is located 550 metres from the centre of Malinska on Krk Island. The closest beach is 600 metres away and has recreational amenities. All apartments come with a furnished balcony with sea views and provide satellite television and a well-equipped kitchen with a dining area. Various clubs and eating places serving local fish specialities and international meals are also at a distance of 400 metres. Apartments Krajačić ~0,1 km, Malinska price per day from € 45 Situated 900 metres away from a pebbly beach in Malinska, Apartments Krajačić provides air-cooled accommodation with gratis wireless internet access. The apartments comprise a seating area with a sofa and a flat-screen satellite television. The town of Krk and the breathtaking Krk Old Town, with its Krk Basilica and the historic Frankopan Citadel, are 12 kilometers away. Vito & Rocco apartment ~0,1 km, Malinska 1 km from Malin Beach, Vito & Rocco Apartment presents a balcony with outdoor furniture. 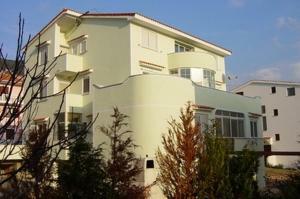 3 kilometers away and Njivice is a 10-minute drive from the property. The air-cooled apartment presents a washing machine, a toilet and a living area with satellite television. The kitchen is fitted with an oven, stovetop and fridge. Grocery shops and eating places can be reached within strolling distance. Rijeka is a 45-minute drive away and free car parking is possible on site. 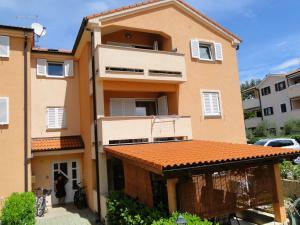 Apartments Kvarner ~0.1 km, Malinska Please inform Apartments Kvarner in advance of your expected arrival time. You can use the Special Requests box when booking, or contact the property directly with the contact details provided in your confirmation. Gabonjin ( ~ 3.1 km ): 7+ accommodation units. Porat ( ~ 3.2 km ): 145+ accommodation units. Njivice ( ~ 4.4 km ): 198+ apartments. Kras ( ~ 5.3 km ): 3+ villas/holiday houses. Dobrinj ( ~ 5.6 km ): 42+ apartments. Beach Malin Draga, Malinska ~ 0,8 km from Apartments Kvarner Concrete beach: ideal for families, awarded with blue flag, with restaurant, with caffe bar. Excellent choice of watersports. Beach Rupa, Malinska ~ 1,1 km from Apartments Kvarner Sandy beach: ideal for families, with restaurant, with caffe bar, equipped with showers. Excellent choice of watersports. 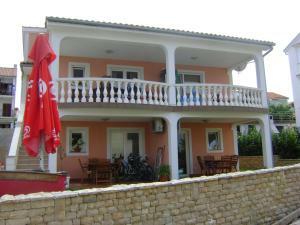 Beach Rova ~ 1,6 km from Apartments Kvarner Gravel beach: ideal for families, with restaurant, with caffe bar. 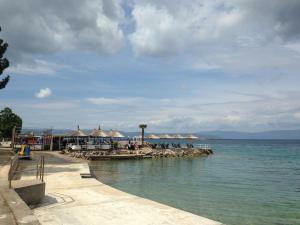 Beach Vantacici ~ 2,1 km from Apartments Kvarner Gravel beach: ideal for families, with caffe bar. Beach Fkk Rajska plaza, Malinska ~ 2,5 km from Apartments Kvarner Rocky beach: recommended for young people. Nudism is allowed. Restaurant Pod Murvu, Malinska Guest reviews: 9,3/10 ~ 1,1 km from Apartments Kvarner Address: Milovcici 20, 51511, Malinska. Restaurant Pizzeria Leut, Krk Island ~ 2,6 km from Apartments Kvarner Address: 51511 Malinska-Vantacici, 51511. Restaurant Konoba Porat, Malinska Guest reviews: 7,6/10 ~ 3 km from Apartments Kvarner Address: Porat 40, Malinska. Prices: 39 HRK - 414 HRK. Cuisine: Mediterranean cuisine, Seafood, Croatian cuisine. Restaurant Malin, Malinska ~ 0,9 km from Apartments Kvarner Address: Kralja Tomislava 23, 51511, Malinska. Restaurant Primorska Koliba, Malinska Guest reviews: 7,9/10 ~ 0,7 km from Apartments Kvarner Address: Sveti Apolinar 2, 51511, Malinska.